As they say, “Expectation is the root of all heartache.” When we aspire for great things, we start expecting and hoping for certain outcomes. We work hard and dedicate so much just to achieve what our heart desires. Then again, with many aspirations–especially the really big ones–the risk of falling is also too great. The more desire you have, the greater the flame you create. 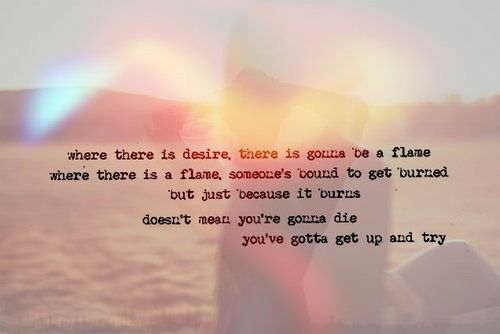 Successfully reaching your desire would raise you in a pedestal but failing to achieve it would burn you down. Thus, in every great endeavor, remember to STAY strong. Do not let the fear of getting burned stop you from dreaming big. Work towards your life goal and do not back down. If you incur scars, then let those heal and serve as a reminder of the battles you’ve survived. Be proactive and keep moving forward! For as you see, the greatest victories are EARNED by the strongest and most enduring ones. So hold on, my fellow sojourner. Hold on.